Saw that about the French thing earlier. Nice work. What I saw: Military cut thru Russian forces cut. 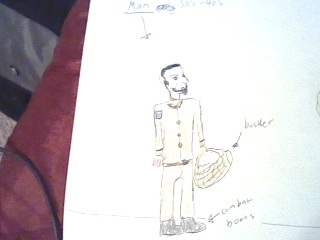 Northern western front military in (blank-lol bc i can't read my handwriting) issue with Brazil. Flashback of date: August 31st 1989. Brazil launches nuclear raid, (looking for weapons not firing them) against western northern Russian front. I understand or have been led to understand that Brazil has much weaker forces than Russia. However, I cannot be taken aback about what seems like a pending investigation Brazil is doing on Russia in regards to weaponization in particular. Also got words brass bombs no clue what that means. Along with this Brazil for some reason is doing an air raid. Now when I say air raid, I dont mean dropping bombs on Russia, only that they are scouting out. 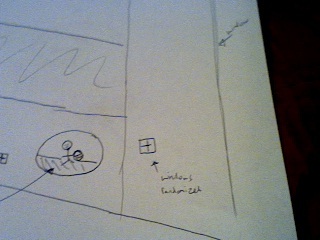 Again this whole situation is alien to me, so I am doing my best to describe what I saw. 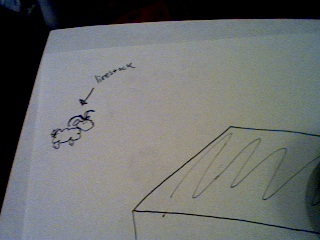 I was also shown Brazil or undercover Brazilians flying over mountains. And from what I google mapped I got something called Ural Mountains that are in the west north region. I got a heavy feeling past the mountain region and into a place called Arkhangelsk above that. I believe that they are scouting the mountains but also going partly into camp in a place called perm, but a lot of activity is taking place in Arkhangelsk. I believe a new radio frequency wave was also discovered at this spot, not sure why that is relevant but perhaps it is in finding the brass bombs or rather weapons. Brazil and Russia, weird combo like pickles and bacon. And thats all I got. If the above prediction doesn't make sense to you I have one more point to add, that basically all in all brazil is spying on russian military forces up in the ural mountains with a heavy activity going on in arkhanglesk, I feel a major compound is there. It is a off white eggshell color, it is made out of a metal structure overall, concrete flooring for the most part, and small windows here and there, it has flat roofs, and is shaped like a long rectangle horizontally and another rectangle standing up vertically. There seems to be minimal livestock here except a random 'sheep' more like a ram. Zooming into the compound, I got a man, with a black scruff beard, angled jaw line, but not pointy, rectangle/square face, with brown eyes, olive skin, black hair short, green clothing. 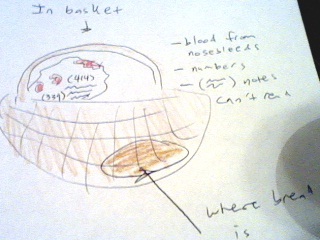 He had a basket, in it a tericloth (white) hankerchief. It had blood on it at first I thought murder, but on logical re-examination I realize only small spots of blood and it was from minor nosebleeds occuring in such high altitudes. There was partial loaf of bread in the far right corner of the basket. 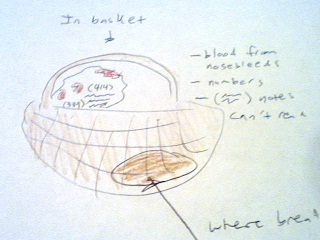 The basket is important because of the ink black written note on the hankerchief including a 1 (414) area number (another three digits 399), with a note written with it, but can't make out. That I believe is all I have (did more viewing at 2:05 am). 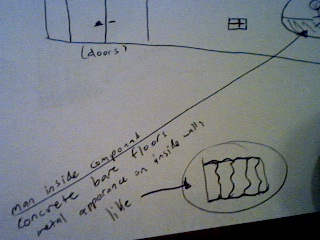 Reedited at 2:42 to add mutiple pictures, to show you how I see things. 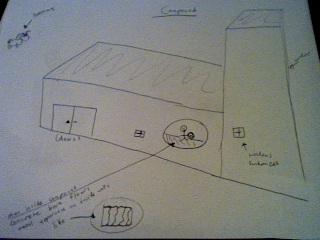 Pic is of the compound and man. 5. Pond fish dead, massive toxins, “new liquid gel found as caustive agent” "hand sanitziers are also an outrage". 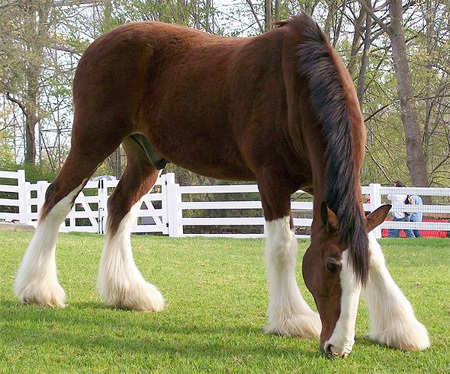 I think the horses you're referring to are Clydesdales - like Busch uses in their advertising. Yes arch exactly what I am refering to, and as for the cerm. side...ya scary isn't it. Our water systems are beyond pollution.
. 7. Nuclear reactor in France falters, ‘tin’ at the bottom of the metal mesh back left side isn’t holding up properly in one of them, will cause leakage and ‘spark’, check bottom of reactors near ground..
Ding, ding, ding! A M6-something tremor happened this week (was it on Sunday?) in British Columbia, not far from Vancouver. Today there was a M4.1-4.5 tremor in the San Bernardino mountains to rocked the Inland Empire region of Southern California. The tremors were facing urban areas but no reports of major damage, deaths or injuries in neither earthquakes. Prediction made 9/16/11 at 5:07 pm. I was in a comp lounge when I saw a world map abouve me. I decided to see what I could view in the world. I closed my eyes and scanned by hands, Got massive waves in australia first, but the most pain and craziness in Indonesia, esp near a place called Bonggakaradeng and Bastem. The first wave I felt was from Australia specifically the "Christmas Islands". Then it extend past there and into Indonesia, so I feel major earthquake will occur there. Everything about this wrong ? nothing here matches to the prediction.. I'm offering a time period for the prediction earthquake Puri has already made - (see 2 post above) Getting that it will be a 8.1 or greater between 8th - 21th Dec 2011. Next phrase: Two planes go down. (Planes are small) One of them had a bit of yellow on the back wingtip. “Sunday Morning”. One man wanted to go to “Barbadia”. The man then called it the “afternoon islands”. West Indies that is where the problem begins unseen. That being said the beings are on the other side of the North Atlantic Ocean; however going or in sections going to Yemen all the way in Saudi Arabia if my geo skills are right which is a very long way. This trip isn’t a normal flight trip just based on the destination. Uh no, Anvil. I learned the earthquake happened two weeks ago (Sep. 9th) and can be a precursor of a much larger earthquake to come for the Vancouver and Seattle/Puget sound areas. An undersea earthquake about M8 or 9 means a catastrophic tsunami risk for the Pacific coast of North America, esp. the nearest parts of Vancouver Island and Queen Charlotte Island are the most affected. Then you should have stated that you were only reporting a possible precursor to the big one Kitco is predicting, for nothing that kitco predicted has happened yet. 2. Kitco said - Wide Scale Rescue effort's and close to 100,000 people will die, and Damage will be an estimated 2-7 Billion dollar's. You reported no reports of major damage, deaths or injuries in neither earthquakes. - No reports on that. - what you reported was not the largest quake in recorded history. OK Anvil, I could have wrote kitco's prediction is totally way off...but I find a coincidental event anyhow for seismic activity is happening right now in British Columbia. It's more of a "Wait for it" event, because greater-magnitude earthquakes tend to happen after a series of M6 or M7 tremors in a given area for months of sometimes years: northern Japan, Indonesia and Chile are examples. Making another prediction, did this at 1am so wasn't too detailed. Anyway I feel either in New Zealand or the news is coming from New Zealand regarding green technology/energy/jobs, creating more work and money for people who either didn't have a job or were put out of a job. Not sure how this could work. I guess getting one sector moving will have a snow-ball effect? Not sure of the time, hopefully the news will be mentioned before the end of this year but I felt it was in the summer so either before the end of this year, or going against the threads rules, summer '12. I wanted to research the plane again matches the yellow I was talking about on the plane in the back, found that interesting. The only thing off is one plane crashed instead of two. I am not sure if this is the event, but found it interesting one the less. I did not even know this sort of ‘warefare’ was going on! The 1st link also gives this detail, "The tribal area of Arhab has been targeted by heavy air strikes since a general and six other soldiers were killed Sunday in clashes between tribesmen and the Republican Guard" which would of been Sept. 25th. Interesting. The small plane, with yellow tip tail is impressive. And the Sunday relevance is too. Walking flight attendant by glass rectangle windows not on first floor, the carpet is a light multicolored blue. She is wearing her navy blue uniform, with blue top and long knee length skirt. She is in her late 20s early 30s, Caucasian, not tan but not pale, she has brown silk uniformed colored eyes, and brown dark hair, up in a pony bun combo. She is walking with a navy blue suitcase that is a rolling one, black handles and wheels. Policy dress code changed, mandated. 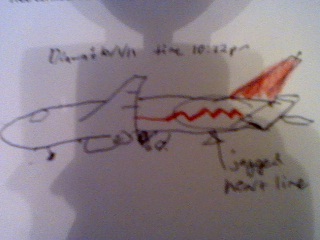 I am viewing plane outside; it seems to be a medium sized, delta airline, with the red on the side of the plane. I do not know what exactly is going to happen to this plane but it def isn't going to be good. Below i have a picture. PLEASE someone tell me if you know what type of airplane this is so we if possible can give warning. I can't give warning with this description alone. I need to know what type of plane it is, and so far through research I've NOT been able to find it. I'm exhausted researching, ones like delta, american, western have red..but its not the same. Its a medium plane NOT large..it may be its a local one but I'm not sure so help me out thanks! Puridalan...you're implying the scenario for a plane crash disaster drama...the flight is over the Caribbean sea (seems like the encrypted message indicates where it's over) and 789 (or is it 787) is the telephone area code for Puerto Rico. Is there any relation with the death of Anwar Al-Awlaki in Yemen, the country mentioned in a previous prediction...and you have envisioned about this is the work of a resurgent Al-Qaida? A suitcase...unchecked by security when it boarded on the medium sized plane. First off it's not a 'drama' it's a plane crash. Secondly the number relates to the flight/plane not an area code. Thirdly, the suitcase has nothing to do with it being not unchecked or not, I never said that. I am merely looking for a plane name of one fitting this descrption: white medium plane, with red wing tip, and red hotizonal line with line ending with 'jagged pulse rate' near rear of plane. (on side). A plane like this would sit probably 60-80 people guessing. I am not saying this does or does not have to do with terrorism, merely the plane is in danger for crash. And I merely want help knowing the type of plane, if you cuold help identify that would be great. Walking flight attendant by glass rectangle windows not on first floor, the carpet is a light multicolored blue. She is wearing her navy blue uniform, with blue top and long knee length skirt. She is in her late 20s’ early 30s, Caucasian, not tan but not pale, she has brown silk uniformed colored eyes, and brown dark hair, up in a ‘pony bun’ combo. She is walking with a navy blue suitcase that is a rolling one, black handles and wheels.